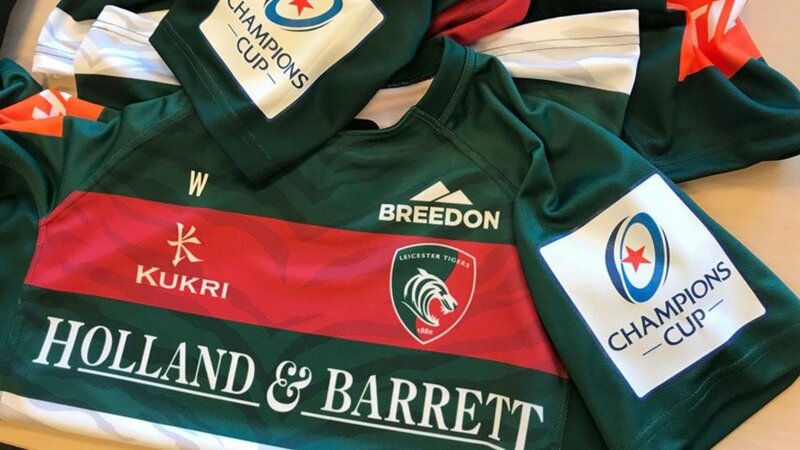 Leicester Tigers will wear the club’s traditional red, white and green colours in all six rounds of the pool stages in this year’s Heineken Champions Cup, starting in Belfast on Saturday. Tigers face Ulster Rugby at the Kingspan Stadium in Belfast in Round 1 and then host the Scarlets at Welford Road on next Friday (7.45pm) before back-to-back games with Racing 92 in the build-up to Christmas and the final two pool matches in the new, with Ulster due on Tigers territory in Round 6. Kick-off dates and times of pool fixtures in all six rounds are already confirmed. Tickets for next Friday’s meeting with the Scarlets are available now at the Tigers ticket office. Book in person, phone 0116 319 8888 (option 2) or online.